Flour, water, yeast and salt...bread is basic. 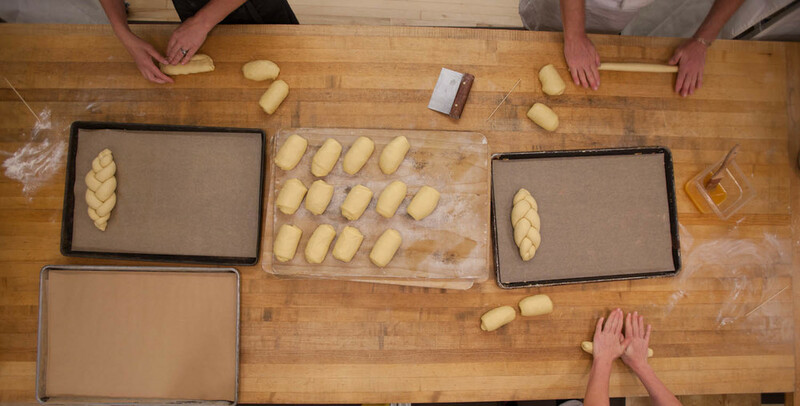 But something beautiful happens as we knead, roll and braid loaves in the early morning hours soulful tradition bakes in. 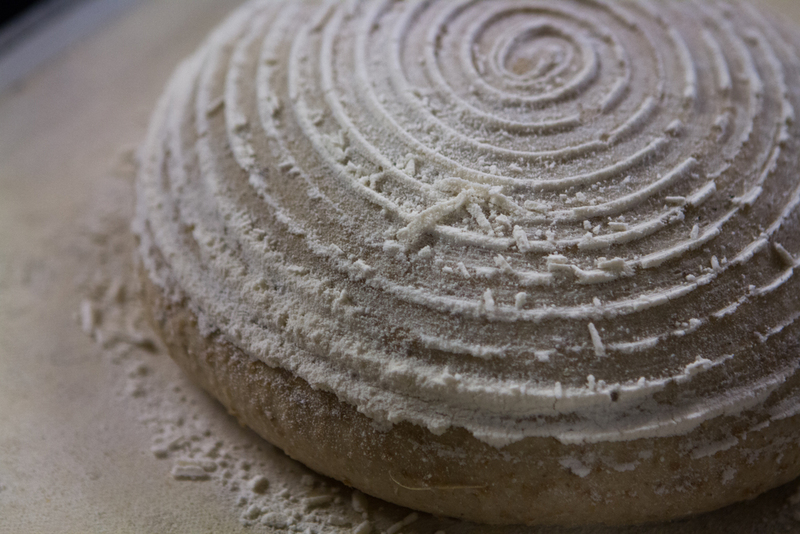 A traditional dough with a touch of sourdough culture for complexity and added keeping qualities. Organic wheat flour, sea salt and yeast. Typically available between 11 am and 12:30 pm. the long and lean crusty Frenchman you've come to adore. a baguette disguised as a wheat sheaf. Perfect for a pull-a-part dinner bread. 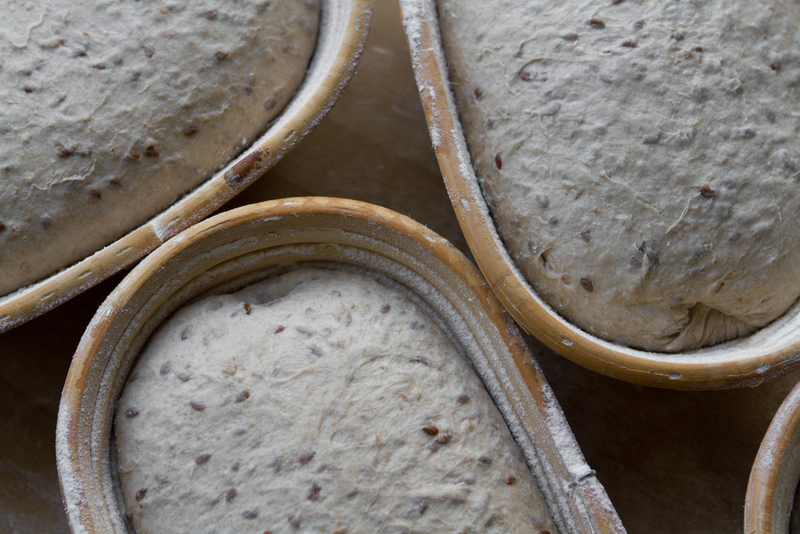 Camas country whole wheat and rye flours, Shepard's grain wheat flour and Bob's Red Mill grains round out our line of signature loaves. This versatile, crusty, mildly sour bread contains a smidge of whole wheat and rye and takes the prize as our best seller! Available after 9am. Our whole wheat levain with a touch of rye flour, rye flakes and flax seeds. Available after 9am. A dense boule built on a yeasted starter with an overnight rest to maximize its 10 grain, honey kissed rye and wheat flake potential. Available after 9am. We start with the Hillsdale dough, add sunflower seeds bake it in a pan. Easy to slice for a hearty sandwich. Available after 9am. An irresistibly chewy durum wheat batard showered with sesame seeds. Hands down a staff favorite. Available after noon. Our semolina sesame dough shaped into a short baguette and rolled in sesame seeds. Seedy deliciousness! Available after noon. Our hearty harvest yields to currants for the perfect weekend toast. Also available daily as a breakfast roll. Loaf available weekends after 9am. Created for the iconic Portland eatery Andina . Roasted Yukon potatoes and red quinoa make up the moist & tender crumb. Available intermittently by 1 pm. We start with fresh eggs, local blackberry honey, canola oil and a 6-hour starter to make this traditional Sabbath bread. Our braided loaves are available plain or showered with poppy seeds or sesame seeds. Our challah is available Fridays after 11am and is Pareve. For orders over 3 loaves, please place your order 48 hours in advance. Otherwise please give us a call the same day or day before for purchasing 1-2 loaves. We do ask for pre-payment for all orders.